The Donor Conference for Development in Mali opened on Wednesday in Brussels with fresh pledges from co-hosts France and the European Union to feed the war-torn country’s €1.9 billion ($2.5 billion) development needs. 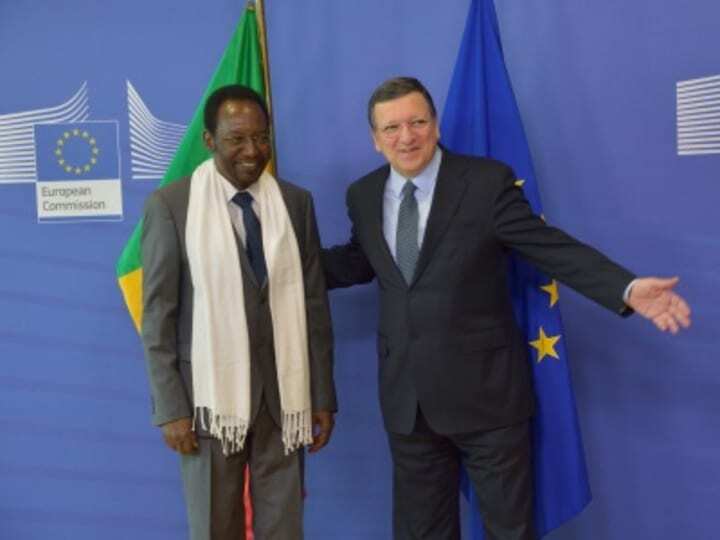 Ahead of the event, European Commission President Jose Manuel Barroso announced €520 million in financial asissance for Mali, while French officials promised another €280 million in support of a plan drawn up by the Malian government for the “sustainable recovery” of the West African country from 2013-2014. The two host countries — in collaboration with the local government — aim to cull more financial, as well as technical, pledges from the over 100 national delegations attending the conference. Consolidation of good governance and greater economic integration. Development of the economic infrastructures for road, rail, power and telecommunications. Construction of an integrated industrial sector. Development of human resources in healthcare and education. Establishment of a partnership to mobilize resources and monitor evaluation. Peace, security and public services. Response for humanitarian emergencies and the implications of the crisis. Decentralization and public service reform. Improved judicial system and fight against corruption. Strengthening the private sector and agriculture, and investing in infra-structure and youth employment. Promote the role of women in all sectors. Integrate environmentalism into policies and strategies. A main focus for the plan is the national election to be held in July — the first time Malians will be able to vote since the internal strife that began in January 2012, when Muslim extremists with links to al-Qaida took control of most of the northern part of the country and sparked a crisis that only ended last January after a U.N.-backed military intervention by France, the former colonial power. The U.N. refugee agency in April renewed a $144 million plea for the welfare and the basic needs of hundreds of thousands of Malian refugees in the neighboring countries of Mauritania, Burkina Faso and Niger, as well as over 300,000 internally displaced people in Mali.